Matching colors and shapes is one of the first things to fascinate small children. 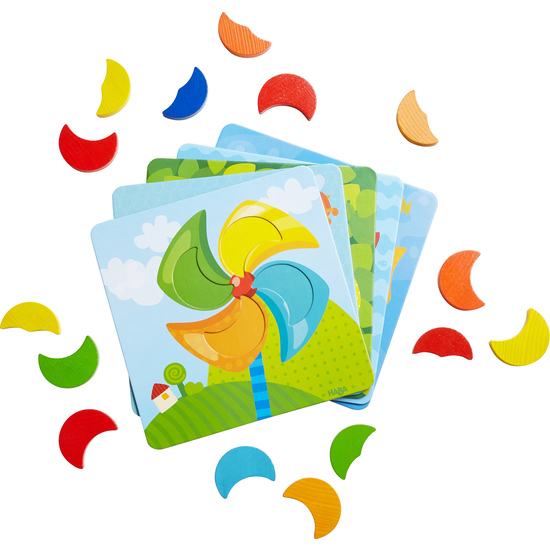 Matching game Rainbow moons allows children to play using the 5 motif cards or arrange the colorful moons creatively. Contents: 5 motif cards, 15 colorful moons.